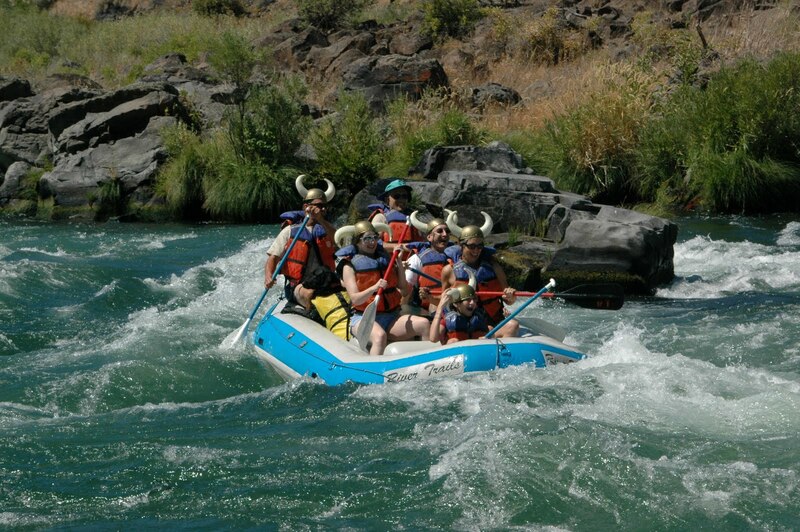 Ultimatenyg hits the Deschutes River in Maupin, Oregon with Erik the Red and his band of vikings. This entry was posted on August 11, 2009 at 10:00 am and is filed under Uncategorized. You can follow any responses to this entry through the RSS 2.0 feed. You can leave a response, or trackback from your own site. That looks awesome – hope you made it to Deschutes Brewery to celebrate your successful voyage. Deschutes Brewery brews the best beer in all the land. Seriously. Their Red Chair IPA is quite possibly the nectar of the Gods. Hell, anything from their "Bond Street Brewery" line is pretty much hands down some of the best you will ever drink. Trust me on this.